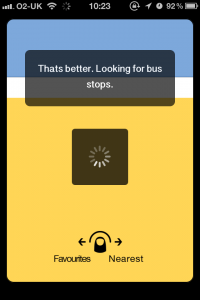 The latest release of Nearest Bus was approved by Apple a few days ago, and is now available in the AppStore. 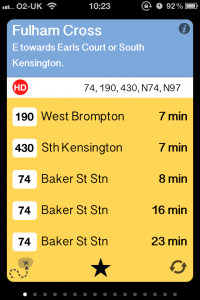 This release includes Favourites, which allows you to mark a stop as a favourite, and if you are within 2km of the stop, it will show up. Favourites are shown on the left side of the closest stop, where as normal stops are shown to the right. Also added is a refresh function - if you need to refresh all the stops and your location, just shake your phone gently, and it will refresh.